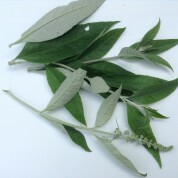 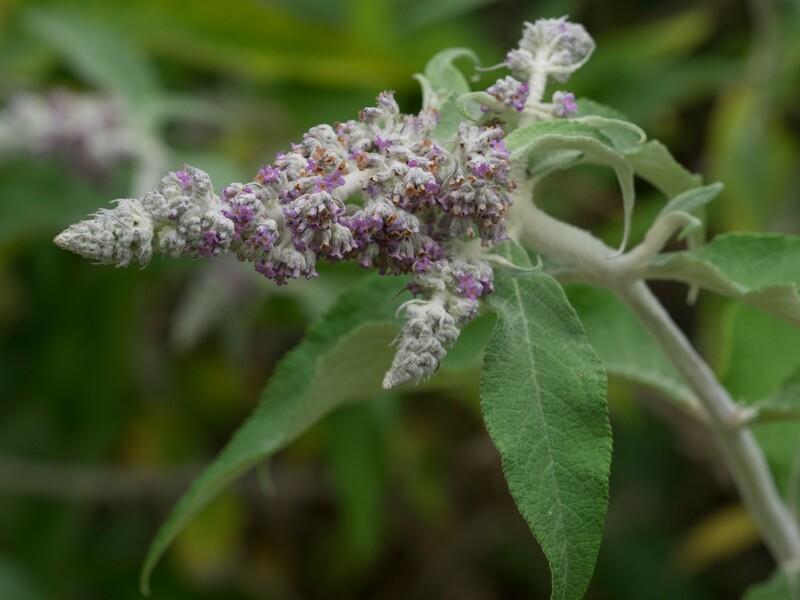 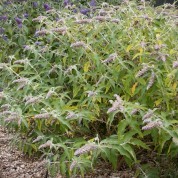 Buddleja nivea is chiefly grown for its outstanding foliage as the young leaves are covered with dense white hairs . 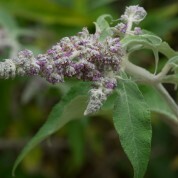 The lilac purple flowers are quite small and only slightly scented. 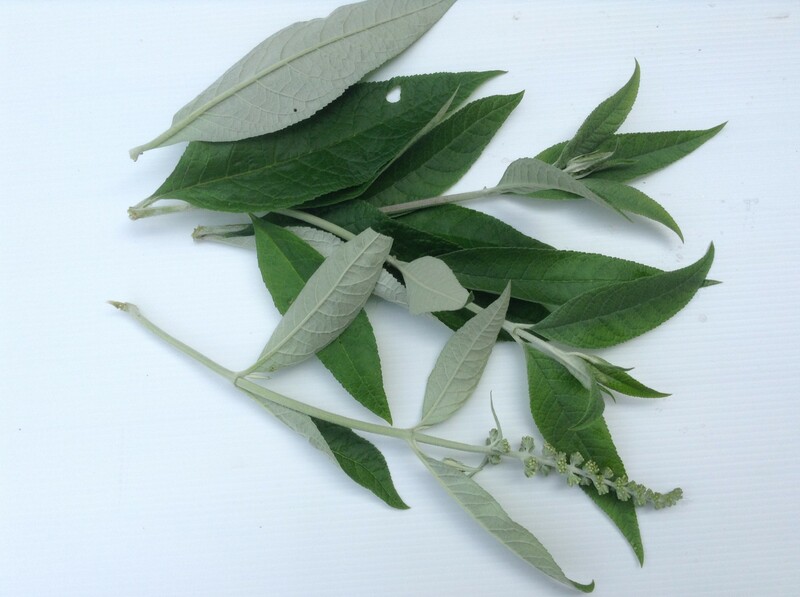 Although evergreen in its native China, if grown outside in the UK the plant becomes deciduous. 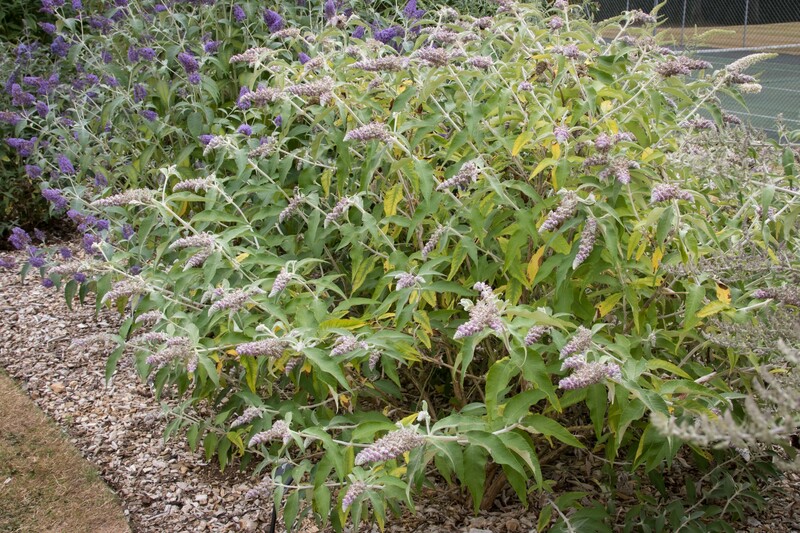 Over wintering in a glasshouse can help to keep the plant evergreen all year. 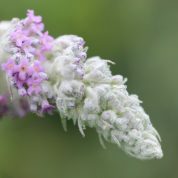 Discovered by Ernest Wilson in China and introduced to cultivation in 1905, B. nivea was named by Duthie in 1905 in The Gardeners’ Chronicle magazine. 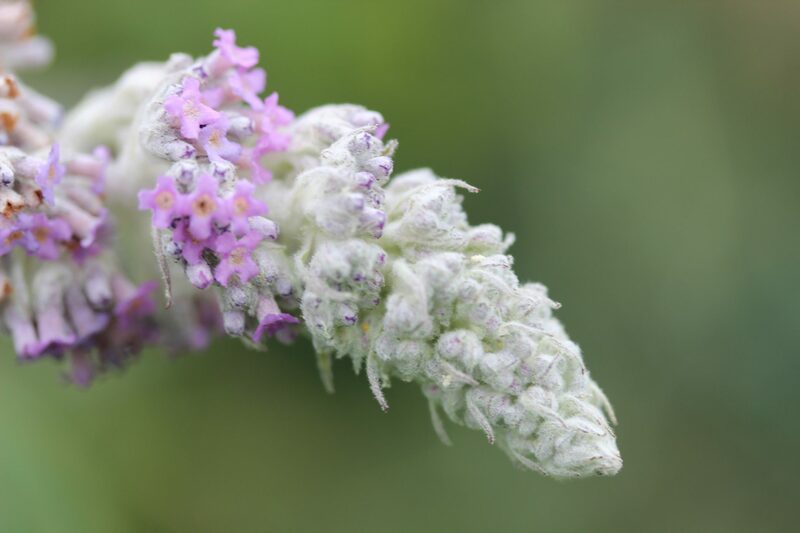 This species is a native of the Yangtze river basin in the Chinese Provinces of Sichuan, Xizang and Yunnan; growing in open woodlands, forest borders and in thickets on mountains at elevations of 700-3600m.